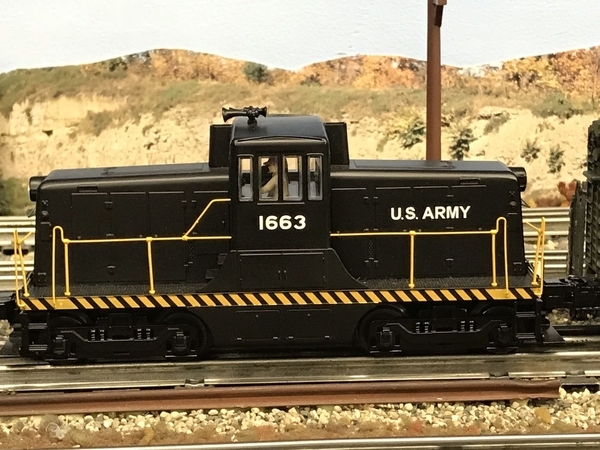 Thinking of picking up the 2018 MTH 44 Tonner in Army colors for my yard. Other than the capacitor issue, are there any bugs with this engine that I should be aware of ? Also, did either MTH or Lionel produce a command control switcher in military livery besides this engine ? The only other issue is that it's a small locomotive and only has two pickups. This tends to encourage stalls on certain switches, bad for a switching locomotive. John, I'm sure it was covered elsewhere - but do you add another set of pickups to address that issue for switching moves through RCS Switches using this engine? I also like using small switchers in a yard. Ross turnouts are a perfect fit for tortoise turnout motors because you can energize the closure rails to prevent stalling of short locomotives. This gets a little wonky, but essentially what you want to do is turn the closure rail your locomotive is rolling on into a "ground" and the unused one (for the other direction) as a "hot" for the pickup roller. Using the Tortoise contacts, you run a feed from each closure rail to one of the two "common" relay points, then hook a hot feed to the one not being used; the ground to the one being used and vice-versa for the other closure rail. 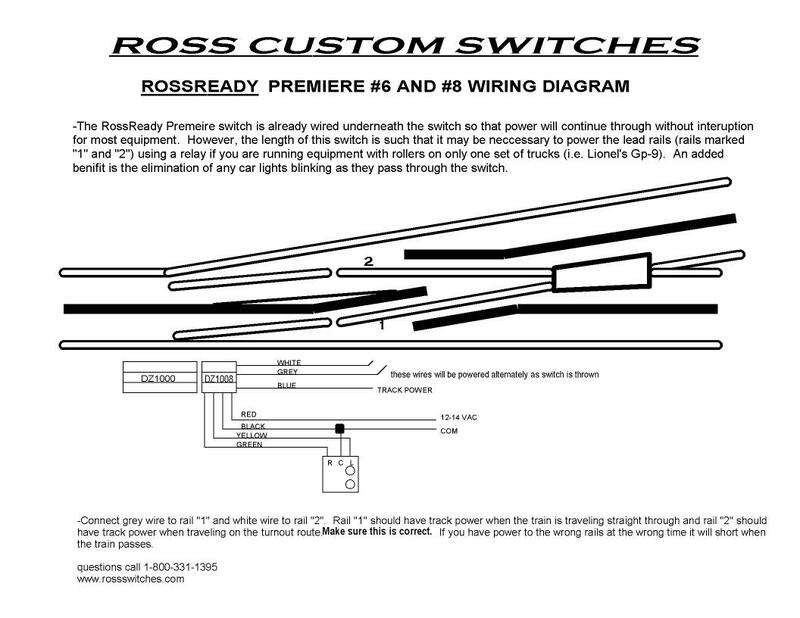 Ross has a diagram for "hot-railing" on their site. This is pretty much required for larger turnouts and I had to put one in for our #8 curved turnout as GP35's were stalling when running through at under 20 miles per hour. If you don't have a ground issue, the Ross hot-railing approach is the better option as it's simpler. I run my GE 44-tonners on Atlas O-54 track and switches without any problems. The shutdown sound sequence is abbreviated due to the small capacitor. I have the MTH 44 tonner and the MTH US Army Genset and use Lionel Fastrack switches with no problems. Most of my switches are Fastrack 36 inch turns. The Lionel Genset has a fixed pilot requires at least 48 inch curves. I belive you will be pleased with the MTH 44 tonner it is suprisingly powerfully. I haven't tried adding pickups, but when I get finished with the new layout, some of my locomotives will be getting more attention, I figured I have about two years of upgrades and fixes waiting. MTH and Lionel have produced a good number of U.S. Army command control locomotives. I'm particularly interested in U.S. Army items because my layout will have a military logistics depot theme. Most of my locomotives are MTH, but I also have the Lionel Genset, Trackmobile, and a steam locomotive or two. I also have several Weaver U.S. Army diesels that are equipped with TMCC. 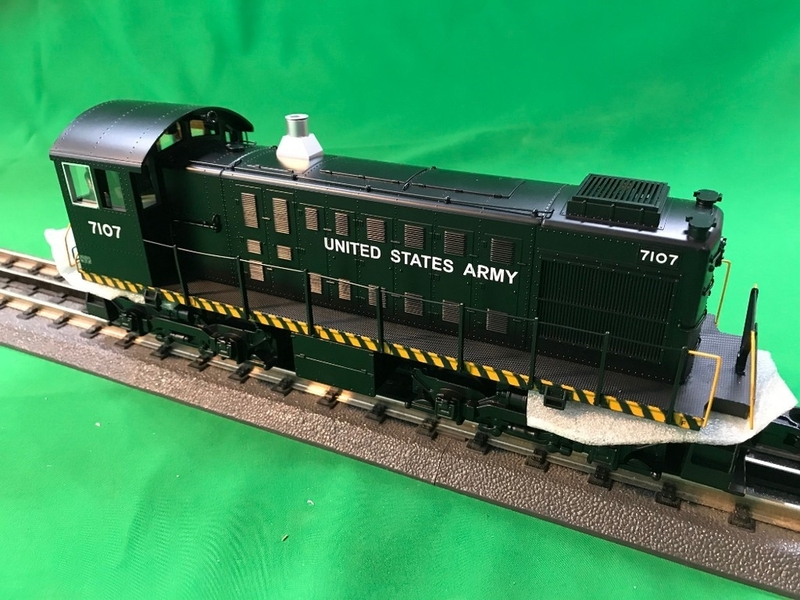 To find what MTH has offered in U.S. Army livery (it's a pretty extensive assortment), just go to their website and do a product locator search with the keywords U.S. Army. My USAF 44T switcher was not moving and was sounding the horn continuously - so back to the dealer. I have an USAF Baldwin which runs just fine. This will be a tough choice - the Alco S-2 switcher or the GE 44 Tonner. 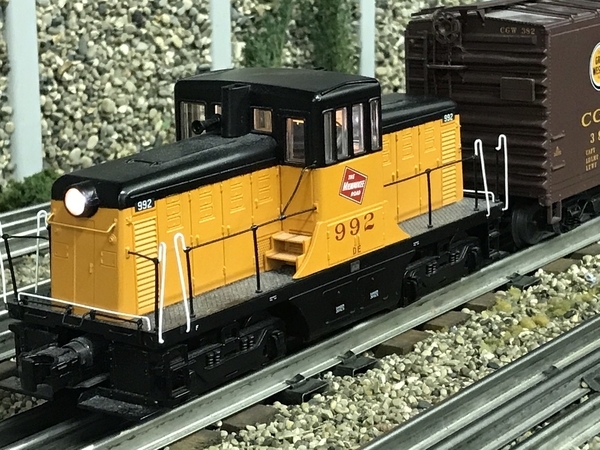 The GE is about 3 1/2" shorter which makes it a little more "nimble" and maybe easier to maneuver in my relatively small yard with FT O-36 switches, but the Alco is a great looking locomotive. AHHHRGGGH - no, I can't get both !! The problem is more with lack of ground than lack of power from the center rail. I've had a MTH 44-T for some time. All my switches are Gargraves. Going slowly over them has not been a problem. Dave, that's true as well. With four traction tires, if you have an insulated rail, you only have two wheels in contact with the rails. I have the MTH GE 44-tonners in that U.S. Army scheme as well as Milwaukee Road. It’s all diecast metal. Great model. The Milwaukee Road version did hesitate going through a switch on my O-27 home layout, but only in one direction and was not a problem if I turned it around and ran it through the switch in reverse. The Army version has no problem in either direction on that same switch. Go figure. I think MTH is on gen 3 of this model now? Grounding both outside rails on Gargraves like everyone should do, should provide smooth operation I would expect. If my S.I. MP3 sound script is not chosen, the unit is going back to the dealer anyway. We shall see when it finally arrives. Problem with 3R O is there are too many companies with variations. Nothing is standard like H.O. I have to tell you that I saw the Milwaukee 44 tonner in person. It was in the middle of a mixed freight on the NYC short line thru Cleveland. This was in the late 50's; I was eight years old. It was quite a sight to see. That’s fantastic. Now I want the Boston and Maine unit. Is that custom painted?